Generator is a clothing project - but before that, its a computer software, created together with Luis Castilho. The software distorts digital flat patterns and provides the designer with unexpected forms. A process of curiosity, chance and very often failure takes place, and shifts the usual design process in fashion. At the time, back in 2008, I had no idea this project would lead the way I approach creative pattern making today. Today, I am sure that this experiment was key in developing my particular ways of playing with forms and the tridimensionality of the human (and more often not-so-human) body. 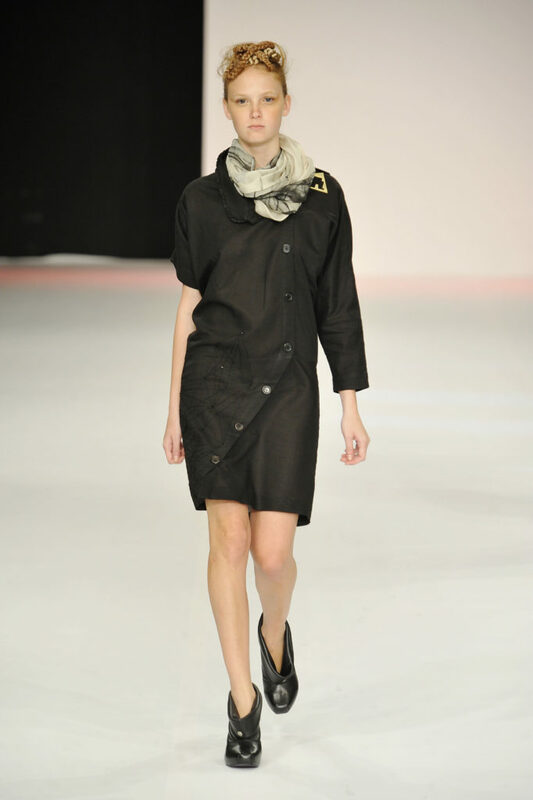 The images show the collection presented at the Rio Moda Hype prize for young designers in 2009 (Fotos: Bira Soares). Generator: Erro e Acaso como Ferramentas Criativas. ENPModa 2014.